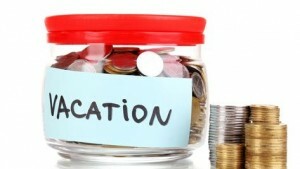 Although vacations can be expensive, there are several ways you can save money. There is no need to skip your trip this year because of financial worries. With a few money saving tips, every family can cut their vacation costs by more than 40 percent. Many people are pleasantly surprised to see how much they can save with reward cards. Try signing up for a travel rewards credit card on your preferred airline or hotel. These cards offer cash back or special discounts on hotels, flights, rental cars, and entertainment. They also offer dining rewards for popular restaurants. Save even more by signing up for free hotel discount club cards. Everything is more affordable at a casino or casino restaurant. For example, people going to Vegas can plan their meals, entertainment, and lodging all in one building. There are also venues in other states and cities. West Coast residents looking for a great cheap vacation can visit Viejas Casino and Resort for great food, fun, gambling, and entertainment. When driving a personal or rental vehicle, consider traveling with friends. Pack lighter, share the cost of gas, and enjoy the company of the people you bring with you. This is a great way to spend more time with friends and save money. Ordering food to share can also save you money in the long run. Combine this idea with using reward cards for ultimate savings. In addition to the suggestions above, put your researching skills to the test to find the best free attractions and activities. Every city has several options. Certain parks offer free or reduced admission on specific dates, and some museums and attractions that are run by organizations are free to visit, or have low entry fees. Travel costs are lower during the fall, late winter, and early spring. Summer months and the winter holidays come with the highest costs for traveling. Consider booking flights, rental cars, and hotels during the low-cost months. Gas is also generally cheaper during those times. These are just a few suggestions. Think about every travel detail and possible ways to save money. For example, using a credit card to book a rental car often includes free insurance for the car, and eliminates the need to purchase per-day insurance at the counter. There are hundreds of ways to save on your vacation if you use some creativity and research.